Ensure long-term food production to meet needs for food security in environmentally, economically, and socially sustainable ways. 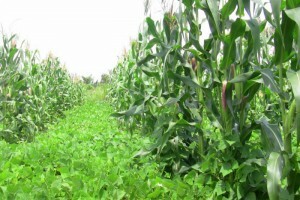 The African Green Revolution is making significant progress. It applies recommendations from the UN Millennium Project Hunger Task Force for doubling or tripling yields of staple food crops through increased application of mineral and organic fertilizers, improved germplasm, and water management; elimination of child malnutrition; and making markets work for the poor—and all of this done in environmentally sustainable ways, supported by enabling policies and strong political will. This Green Revolution is happening, but much work remains to reach all rural Africans who are food insecure. Ongoing initiatives supporting the use of improved seed and fertilizers must be scaled-up. 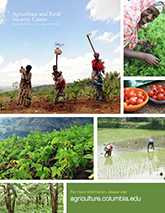 This scale-up must be coupled with continuing efforts to improve germplasm, seed systems, and access to small-scale irrigation, as well as lowering transaction costs of fertilizer transport and improving access to agrodealers and other services that link small-holder farmers to the value chain.